Starting the week off with some wonderful spring weather, Groundhog Day 2019 may have brought a correct prediction of the early spring! Today, the high was around 60 degrees, with clear blue skies and variable gusts of wind. It was the perfect day to shed the winter coat and take a nice stroll outside. Temperatures will begin to drop as the sun sets tonight around 5:30 p.m., with an expected low of 35 degrees. Clouds will begin to move in around 9 p.m., and there’s a slight chance of precipitation in the early hours of tomorrow. Winds will continue as light and variable gusts. Tomorrow morning will be cloudy and chilly with temperatures rising slowly until mid-morning. As the clouds dissipate partially, temperatures will rise and another beautiful spring day will appear. The high temperature will be around 62 degrees and winds will continue to be light and variable. 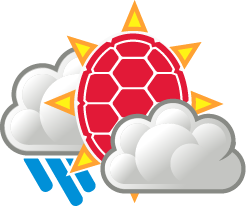 Temperatures will drop slowly throughout the night, with a low of 40 degrees expected. The chance of precipitation is around 28% throughout the night and cloud cover will increase as the night advances. Winds will remain as light and variable gusts. Temperatures will continue to stay warm throughout the work week, but showers will approach on Thursday and Friday. The upcoming weekend and beginning of next week are forecast to be cold and possibly snowy, so take the next few days to get outside and enjoy the warm weather while possible! 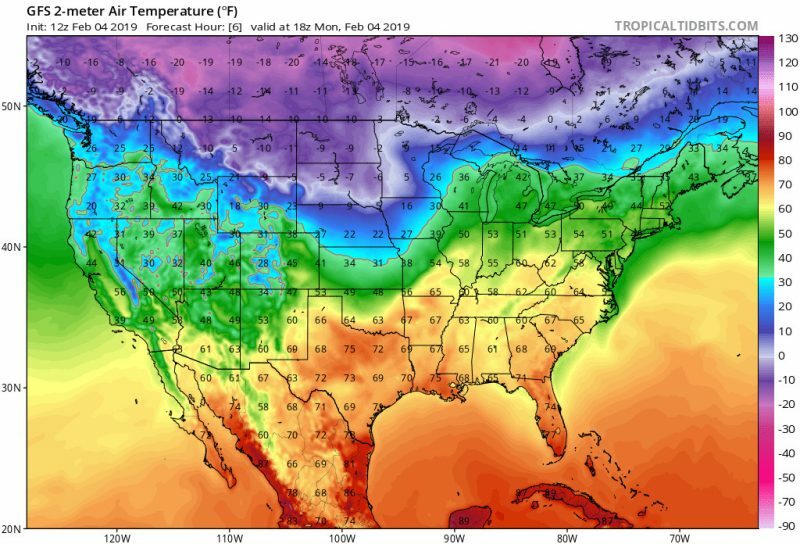 This image shows two meter Temperatures of the contiguous United States at 18Z on 2/4/2019 (via tropicaltidbits.com).